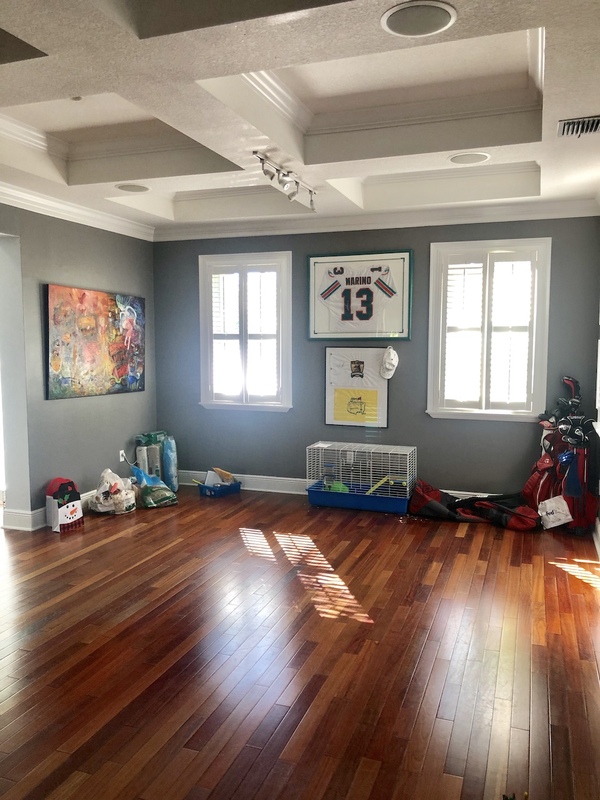 I recently watched one episode of Marie Kondo’s hit show about decluttering one’s life and literally cleared out our entire playroom the day after — furniture and all… see? Our guinea pigs, Bella and Cookie, made the final cut because they “spark joy” as did my husband’s hideous framed Dan Marino jersey and golf clubs because… marriage. For those of you not-in-the-know, Marie has developed the KonMari method which essentially equates to living a tidy lifestyle solely with items which bring you happiness (Read: not junk from the dollar section at your local Target store). As I rummaged through my children’s countless toys, old DVDs, never-played CDs, old magazines, stuffed animals and more flotsam, I found myself legit disgusted with just how much crap we have accumulated through the years. Like, gross! WHO AM I? So once those College Hunks Hauling Junk cleared out the room and we made our donations to our neighboring Goodwill (I felt 10 pounds lighter after this huge feat), I hit up my gal pals for some design ideas. I wanted a colorful, funky Mid Century Modern vibe (on the cheap!) because my kids are wildebeests and tend to ruin fancy schmancy furnishing as though it’s their profession. So — tada! — here’s the final product. 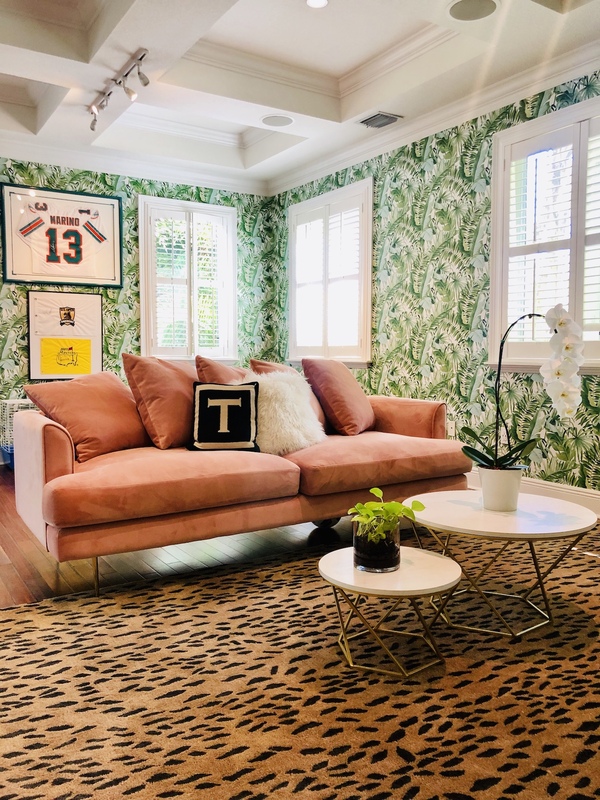 I didn’t hold back and mixed leopard print, blush pink and palm print wallpaper with wild abandon. The verdict? I’m loving it. Our new playroom is so fresh. Fun. Clean. Vibrant. And sparks so much joy!